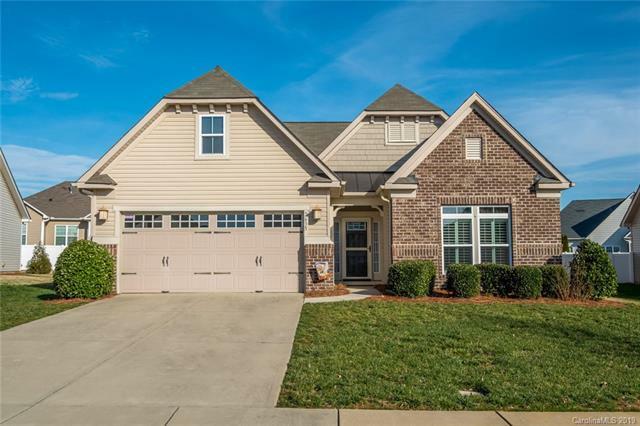 This Move-In Ready Patio Home is ideally situated within the Cobblestone section of lovely Laurel Park! This home has an open floor plan where your lovely Kitchen overlooks the Living Room. Kitchen highlights include granite countertops, a breakfast bar and SS appliances - Refrigerator included! Working from home made easy as there is a Den/Office with French doors. Master Bedroom has a view of private backyard and boasts a spacious walk-in closet. The included Washer and Dryer complete your nice-sized Laundry Room! Enjoy relaxing on your screened patio and/or grilling outside when entertaining! Carpet Cleaned. Lawn Maintenance is included in the HOA fee. Two car garage. Great amenities such as clubhouse, pool, tennis courts and pond.